You can change this setting at the VS.2008 menu bar: Tools --> Options. Create a blank project, edit it, import and reference your vital libraries. When you're done, go File menu to choose Export Template.... Follow the wizard to complete the rest. 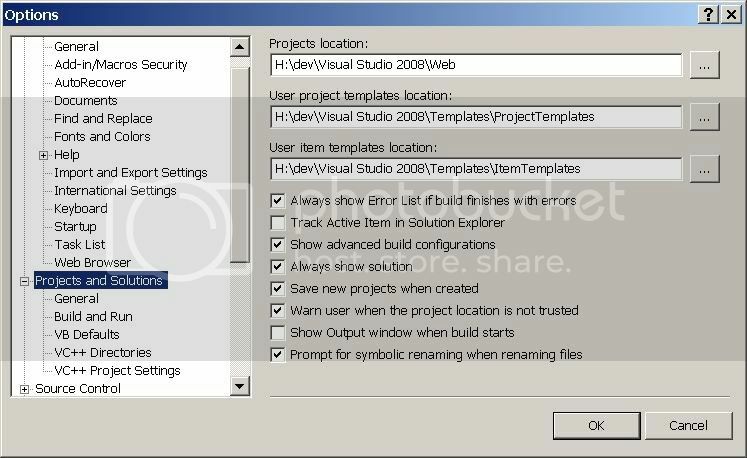 The location you set at Projects and Solutions is primarily for the IDE to locate and load your custom templates. If you accept the default setting Automatically import the template into Visual Studio when you export the template, IDE will automatically save a copy under that template folder where Projects and Solutions specifies. And your template file will stay with them at the same directory level. In my example, it is MyC#WebApplication.zip. I won't bother to put the template into one of those folders. You can drag the zip file into them if you want to organize it. As long as the template is under the template folder, the IDE is smart enough to loop through its sub-folders and find your template. If you want to display a descriptive name on the IDE, go to the designated project templates folder and then do the editing. In my case, it is locate at H:\dev\Visual Studio 2008\Templates\ProjectTemplates. 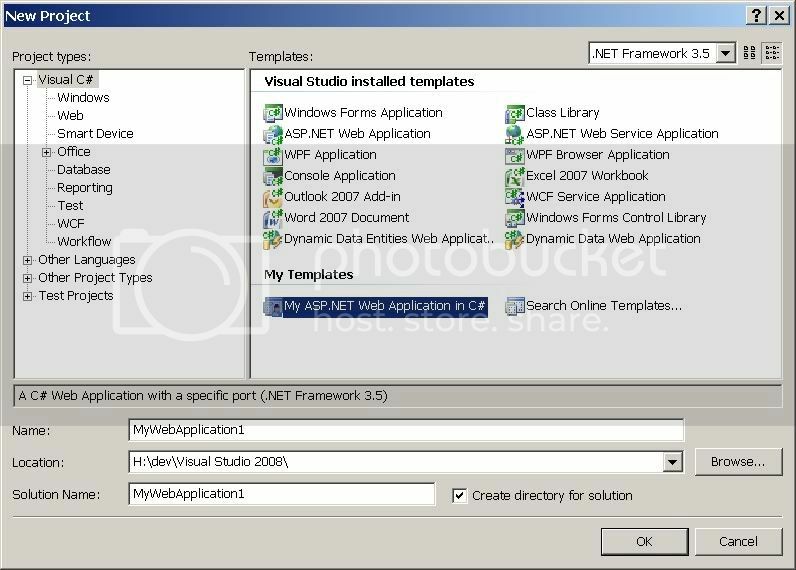 Extract MyTemplate.vstemplate from the zip file and then open it for edit. Save it and then zip it back to the original zip file. Now try to add a new project, you will see the new template shown under My Templates.